← Seven-course winemakers dinner, 1910 Main, Forest Grove, Willamette Valley, OR. Pale-pink to mid-pink. Aromatic (green apple, florals). Refreshing still wine, quite dry, stone and mineral. The label is absolutely gorgeous! LABEL: Produced from Sangiovese grapes grown on our historic dry-farmed Tuscan estates. The taste is elegant and fruity with a dry finish and an enticing floral aroma. This wine is the perfect complement to grilled seafood, poultry and veal dishes. It is excellent served as an aperitif. HISTORY: Founded in 1967, Carpineto is a partnership between Giovanni C. Sacchet and Antonio M. Zaccheo, whose original mission was to produce a world-class red wine from the Chianti Classico appellation. Company Carpineto has four properties: Greve in Chianti (fraction Dudda – Chianti Classico), Gaville, Chianciano Montepulciano (Vino Nobile area) and Gavorrano. Greve in Chianti, located at 300 meters above sea level, is the original home of the company, known for centuries under the name of Carpineto. 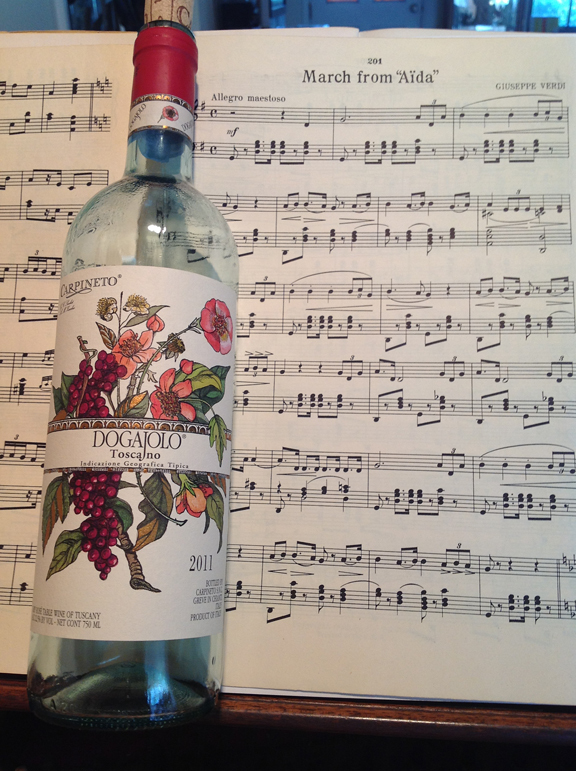 This entry was posted in Italy, Rosé, Sangiovese. Bookmark the permalink.